As economists, we’re keen on the idea of road pricing. The reason we have congestion and delay is because we charge a price for peak hour road use (zero), that doesn’t come close to covering the costs of providing roadway capacity and reflecting the delays that road users impose on others with their choices of when and where to travel. Invariably, though, we’ll hear claims that charging a price for the road, however small, poses an undue burden on the poor. (Strangely, we seldom hear these same people arguing that, in the interests of fairness, we ought to make bus travel free, but we digress). Superficially, that argument sounds plausible: a road user charge would impose a higher burden on a lower income driver than on a higher income driver. But that claim misses some much larger points. As we’ve documented at City Observatory, low income workers are far less likely to drive at all, and much less likely to drive to work during peak commuting hours than are high income workers. The average income of peak hour car commuters in Portland, for example, is $74,000, compared to $45,000 for transit riders. An even larger issue has to do with buses. A new analysis from the New York City Riders Alliance takes a close look at the effect of the proposed pricing of roads in Manhattan, using Charles Komanoff’s Balanced Transportation Analyzer. It shows that pricing Manhattan roads will increase travel speeds 20 percent in the central business district and about 7 percent elsewhere in the city. This will mean faster travel times for city buses, and makes a big difference for this with long bus rides. For those who use express buses to commute into Manhattan from Brooklyn, the Bronx and Queens–a group that predominantly includes people living in neighborhoods with limited subway access–this analysis shows that road pricing will save them an hour or more of travel time each week. Right away, these time savings translate into real benefits for these bus commuters–who tend to have far lower incomes than those who can afford to travel by car into Manhattan. 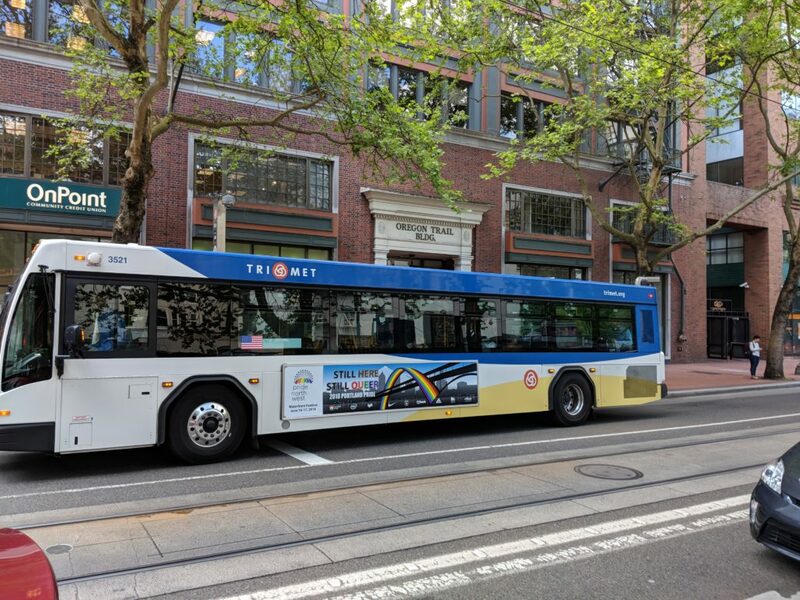 Regardless of whether the money raised by road pricing is spent on transit or not, the faster speeds enabled by road pricing are a direct benefit to transit riders, especially those who are dependent on the bus system. And that’s not all: the productivity and cost of the bus system is directly tied to how rapidly it delivers riders to their destinations. A bus that can travel faster has higher driver productivity (more rider miles per driver hour), lower bus costs (again, more fare-paying passengers per service hour). And because it delivers better service, it’s more likely to attract riders, creating a virtuous circle where faster bus service lures more people out of their cars. The tragedy of the commons on the streets of New York has been that the limited, shared and un-priced space on the streets has been overwhelmed by demand, most recently by the advent and growth of ride-hailed vehicles. As we’ve noted at City Observatory, the growth of ride hailing is directly associated with the decline in average street speeds–and notably bus speeds–in Manhattan. The problem isn’t so much the ride-hailed vehicles themselves as the fact that street use isn’t priced; ride-hailing has simply circumvented the economic limits on the number of vehicles circulating in Manhattan due to the combination of expensive and scarce parking spaces and a tight lid on the number of taxi medallions. The real equity issue on road pricing is that those who are dependent on buses for transportation–which typically include the lowest income citizens–bear the brunt of the costs of un-priced roads. They pay the same fare for their bus ride, and get worse service. The way to solve this problem is to price the use of the roadway at the peak hour. The buses will travel faster and that will be inherently more equitable to those with the least income and the fewest options. A hat tip to Streetsblog New York for highlighting the New York Riders Alliance analysis.